There is only one month left to go before new Minimum Energy Efficiency Standards (MEES) come into force across England and Wales. 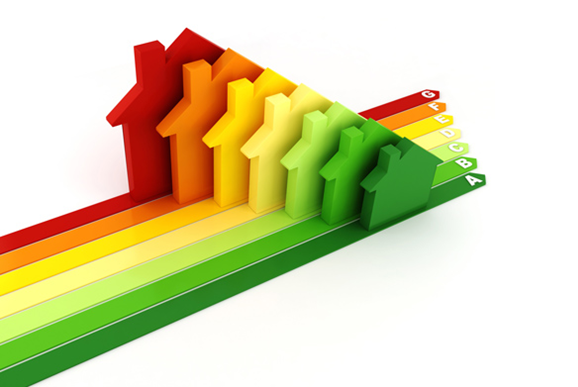 The Minimum Energy Efficiency Standards (MEES) will be law on 1 April 2018. Landlords of privately rented domestic and non-domestic properties in England and Wales won’t be able to rent out properties that do not have an Energy Performance Certificate (EPC) rating of at least an E.
It’s estimated that over 400,000 properties across England and Wales currently fail to meet the energy performance standards. According to research conducted by energy company EON, one in four landlords don’t even know their property’s energy rating. If you already have an EPC rating, be sure to check when the assessment was last done, as the standard required to achieve an E rating or better has changed since the EPC’s introduction in 2007; an E rating ten years ago, could be downgraded to an F or G now. “Landlords have been responding to tenants’ demands for better quality and better insulated homes over the last few years; the number of properties which are EPC rated F or G has fallen however, there are still a lot which don’t meet the standards. “After the deadline passes at the end of this month, landlords face fines of up to £4,000 for flouting the law, or losing money on empty properties which can’t be let until they meet the standards. This will also have implications on the wider rental market, which is in the midst of a serious supply crisis. There are Green Deal finance plans available, for any landlords who haven’t yet started to upgrade their properties, now is the time to act – and quickly!!"